Valley Bluegrass Band provides a great sound of traditional bluegrass music, the band consist of a dobro, bass, guitar and banjo, also can provide sound system when needed. We are available for bookings of many different occasions. Our price will be based on the distance that we travel, time frame of the event and if sound is to be provided by us. The band was very good. They arrived early, set up and were ready to play when the event got started. They played a great variety of songs and the crowd enjoyed them. Thank you we had a great time, we always enjoy meeting new people and pleased that we were a part of your special event. 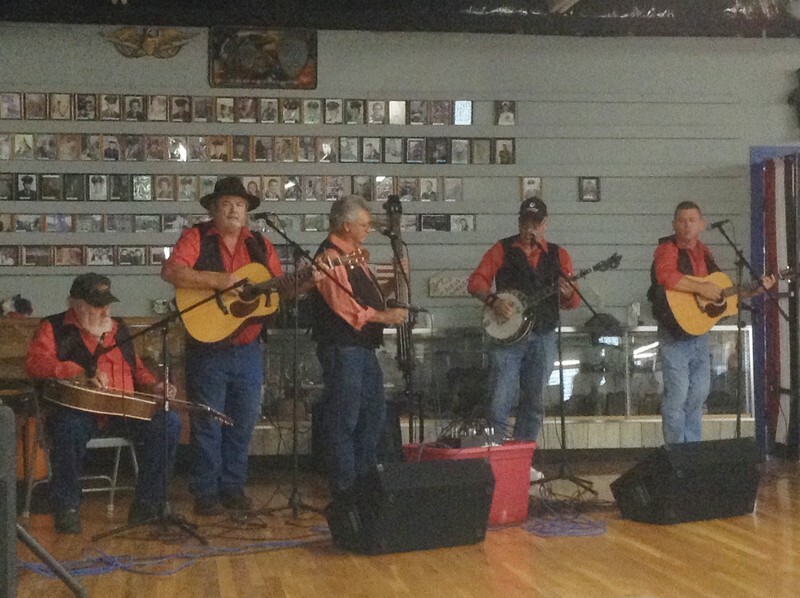 When you come to see Valley Bluegrass Band you will see a talented traditional bluegrass band that conduct themselves professionally and come to connect with the audience. If Valley Bluegrass Band is hired to perform at your event, the client will get a band that wants to make their event special and give the client the kind of bluegrass show that would make them feel this is a band that they would want to book again. Loretta Cox helped to start the band along with her husband Larry in 2005 and has been the sound person ever since. Not only does she run sound for Valley Bluegrass Band, she has also run sound for several other events around the area, Ralph Stanley II, Anthony Mossburg from Columbus Ohio, Tazewell Bluegrass Festival, Kristen Hamm fund raiser at Camp Creek State Park, Camp Creek State Park Bluegrass Festival, Pocahontas Bluegrass Festival, Cass Scenic Railroad state Park and several other events. Other than the talent of running sound she also does the bands CD's, photo advertising and up keep of the bands website. Loretta makes her home in Peterstown, WV. Larry Cox started the band along with his wife Loretta in 2005. Larry plays guitar and does most of the lead vocals, he also does all the emceeing for the band. Although through the years he has played several different instruments he now just plays the guitar. 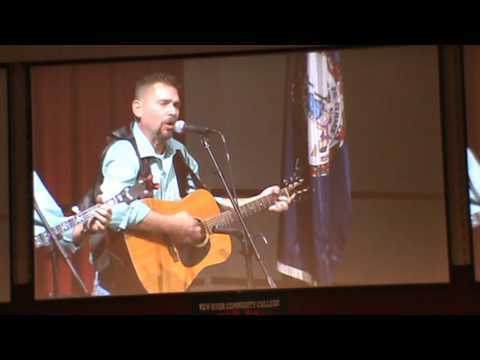 Larry comes from a musical family background and he has been playing for about forty-nine years and performs a large number of songs from gospel, country and bluegrass. Larry loves the traditional style of bluegrass and the harmony associated with the music. 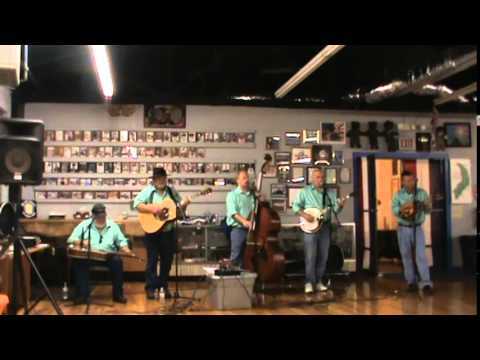 Larry played bass for the West Virginia Bluegrass Band in the 1990's. Larry has penned several songs that the band has performed. Larry makes his home in Peterstown, WV. Tommy Crigger Has been playing music for about 45 years, and is considered to be one of the best bass players around. Tommy played for Clayton Hale and The Bluegrass Mountaineers for 8 years. 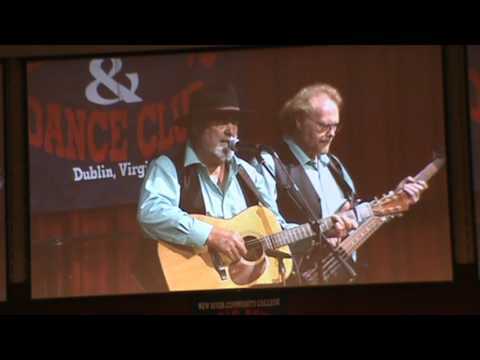 Tommy also has played on the Early Bird Bluegrass show as a guest of Bill Monroe. Tommy not only does an excellent job playing bass he also does some back-up vocals on several of the songs that the band performs. Tommy makes his home in Princeton, WV. Frank Horn was born in Grundy, Va. July 1962. Frank has worked as a police officer for over 20 years. He is a veteran of the Air Force and a 1993 graduate of Bluefield College of Evanelism, serving several local churches for over 20 years. Frank has played locally for years and is now playing banjo. Frank is also a good singer both lead and back up. Frank makes his home in Tazewell, Va.
Paul Morrison began music trying to follow along to his grandfather, Walter Pettrey, playing bluegrass and old country tunes on guitar. Paul started playing with Valley Bluegrass band in 2015 and previously played with Old Dominion, New River Grass, Cedar Branch, State Line and has filled with many more bands while also making many solo appearances. Paul lives in Rich Creek, Va. with his wife Alleta. Some musical influences are Flatt and Scruggs, Lonesome River Band, Blue Highway and Mike Cross. Keep on Picking.